Preview event for Heron Hills Thursday, February 11th! Introductory pricing from the $280s and priority home site selection will be available! Please join us for a preview event at 531 West Jack Frost Way in Saratoga Springs this Thursday, February 11th from 5 to 7pm. You'll get access to special introductory pricing from the $280s and priority home site selection. 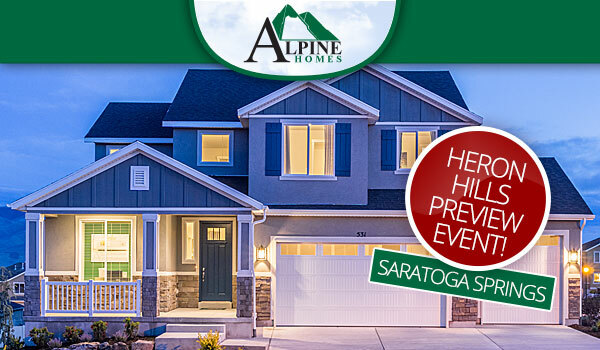 Enjoy Sweet Tooth Fairy Cupcakes, meet the Alpine Homes team and learn about this brand new neighborhood. Contact Rob Ninow for more information and plan to attend the preview event this Thursday!